High corn content here, as we have a mashbill of 75% corn, 13% rye and 12% barley. It comes from Jim Beam’s and I have to say I enjoyed some previous batches (but those were 7 years old). Colour: deep gold. Nose: there is some varnish and even acetone, as well as some cellulosic glue, which is rather normal under these circumstances, but it never gets too vanilla-ed, although it’s pretty oaky. Some earth, ginger, cinnamon, allspice, and only then touches of coconut. Not too ‘commercial’, whatever that means. With water: softer but also spicier and breadier at the same time, you would believe there’s much more rye. Mouth (neat – careful): rather extreme, highly extractive, full of vanillin, varnish, chillies, white pepper, eucalyptus syrup, pine resin… It’s really huge and almost aggressive, pungent, with a high tannicity, and yet it’s not plain oak juice. 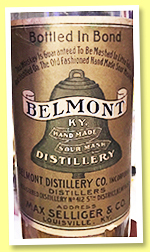 With water: classic, softer bourbon, more brioche-y, with a thin slice of rye bread and one small violet drop. Finish: Comments: I’m not finding this very complex but it’s got excellent presence and all these bready tones always work at WF Towers. 100% corn this time, according to their website. Really enjoyed their rye yesterday (WF 87) but I hope this won’t be too sweet… Colour: dark amber. Nose: sure there are marshmallows and bubblegum, plus a good bag of popcorn, but there’s also a very nice earthiness that may come from the oak, near chalk and plaster. Very nice sour touches as well, chutneys, and dare I even write ‘ketchup’? With water: rather more varnish and oak shavings, but some bread as well. Nice balance. 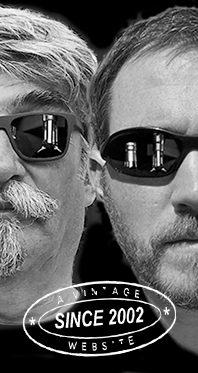 Mouth (neat): surprisingly citrusy and spicy, as if there was some… rye. Spearmint, cinnamon, pencil shavings, orange zests, a touch of lime, some bitter chocolate, coffee beans… The whole’s much drier than expected, which is good news after all. With water: orange blossom, sweet corn, chocolate, black bread, a touch of prune and black currants… Finish: long and rather jammy. Blackberry jam, prunes, chocolate. A funny touch of sweet wine in the aftertaste. Port? Comments: obviously very young, but they made it very well and the small barrels they’re using have been, say smart? Same score as the Booker’s in my book. 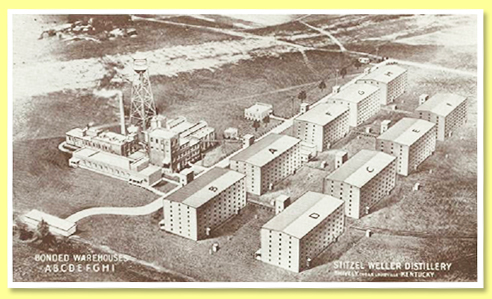 These bottlings by Stitzel-Weller have become legendary, and they were saying it on the label, they were ‘bottled expressly for Connoisseurs of Fine Bourbon’. 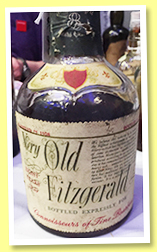 So not too sure I deserve it, what do you think?… I should add that I had tried a Old Fitzgerald 1958/1965 a few years ago and liked it quite a lot, but OF isn’t quite VOF, is it? Colour: very dark amber. Nose: in truth this is close to some brilliant very old Cognac, with these subtle notes of peach jam, then all these prunes, dried figs and dates, proper artisan chocolate, ham, then old Demerara rum, these discreet whiffs of musk and broom, these juicy black raisins (Corinth)… There’s also a little tar, most welcome. Frankly, I wouldn’t have said this was old bourbon for sure, could have been very high-quality old Cognac, Armagnac, or rum. Mouth: a maelstrom of stewed, jammed, and dried fruits, but without any kind of apparent sweetness. It’s a long list, raisins, dates, apricots, damson plums, bananas, pineapples, peaches, figs, dried pears… And then we have quite a lot of chocolate, some tobacco, Assam tea, and even a drop of stout. As much as one could have thought it was old Cognac on the nose, this is clearly and loudly bourbon. Brilliant bourbon. Finish: long and very chocolaty, and that’s the silky tannins speaking out. Some chocolate-y mocha. Love the meaty, almost game-y feeling in the aftertaste. A little stout again as well. Comments: in short, this was kind of the old Macallan of bourbon. Say the 25 1965 Anniversary (or yeah, many others). It’s extremely impressive, despite the lower strength. Good, shall we jump over prohibition, so to speak? An extremely rare old bourbon from a legendary Louisville distillery that was closed for good when prohibition occurred, although I’ve seen that Schenley kept using the brand name. 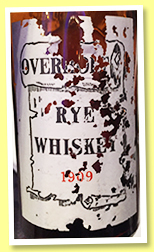 Love this mention on the label, ‘This whiskey is guaranteed to be mashed in little tubs and distilled on the old fashioned hand made sour mash plan.’ This very bottled had been sold in Illinois according to the old tax sticker. Colour: deep gold. Nose: fantastico, subtle, full of apricots and peaches, with a perfect honeyness and, cross my heart, notes of old Yquem. Not just any Sauternes, Yquem. Underneath that, touches of ham, mint, sultanas, a wee bit of cigarette tobacco. We’re miles away from contemporary bourbon, but that may be the result of perfect bottle aging, you never know… Mouth: amazing. A notch simpler than what the nose suggested, but this supreme sweet breadiness is just magnificent. Apricot and raisin bread, damson pie, a drop of pine cordial, a spoonful of proper homemade custard, and just a little rye-y bread. Really, this is magnificent. Finish: rather long, really smooth and complex, with a feeling of spicy Stolle and other Germanic fruitcakes. Comments: not a suprise, but… yeah, no, a complete surprise. Amazing tireless old bourbon. 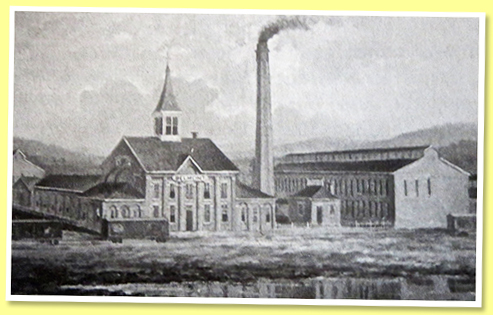 More worthy info about the old Belmont distillery over there. Mouth: feels like a good 45% vol., and starts stunningly honeyed. Heather honey, for example, manuka, sage… That’s just stunning. Goes on with ripe and dried figs, mirabelle jam, mead, a little white chocolate, macchiato, preserved peaches, soft pipe tobacco… It’s the ‘vibrancy’ that’s totally impressive here, the freshness… Finish: rather long, perhaps a tad simpler now, and rather all on sultanas. Unexpected touches of liquid caramel and even maple syrup, plus some eucalyptus. Hints of Japanese sweet red bean paste in the aftertaste. Comments: as amazing as the Belmont. The latter was just a wee tad more complex in my book, but this Overholt had a little more oomph. Perhaps. Oh splitting hairs once again, we’re flying very high anyway. 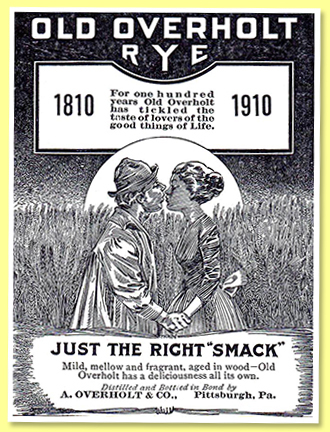 Just the right smack. old Overholt distillery over there.